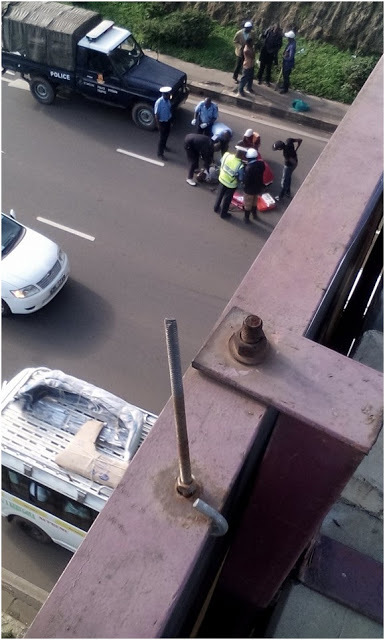 There was drama over the weekend along Thika super highway when a middle aged man tried to commit suicide by jumping off the fly-over near Muthaiga area. 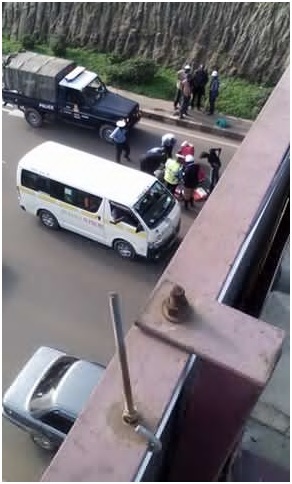 The man who was seriously injured was rescued by pedestrians and police , who took him to a nearby hospital. No one knows why the man wanted to end his life. Here are some photos taken by a pedestrian.